A plate of length between 30 and 48 metres is recommended. The surface is measuring about 600-1600m2. The length of the plate depends on the height of the appliances and their kind. 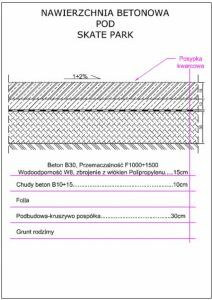 For example, if the installation is quite low, the plate of 30 metres long can be sufficient. When there are platforms or higher installations, 40-45 metres is adequate. The width of the plate depends on the number of the objects that will be situated in the skatepark (it’s usually about 15-20 metres). 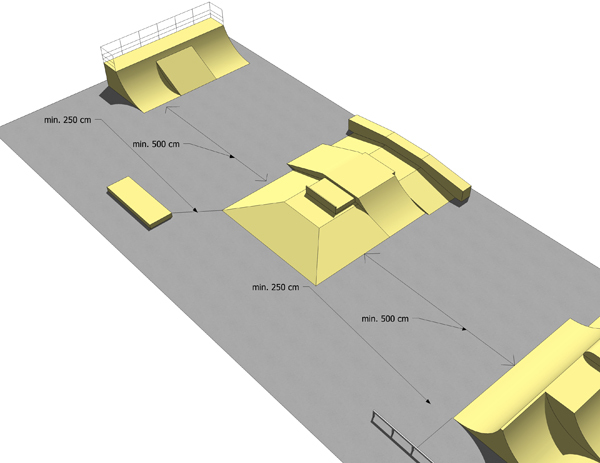 The situation changes when the project assumes the future skatepark enlargement. 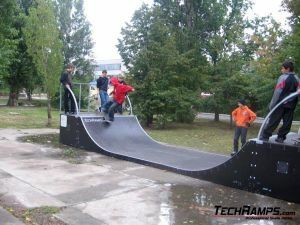 Then making the wider plate is recommended in order there shouldn’t be any problems with the enlargement of the skatepark. 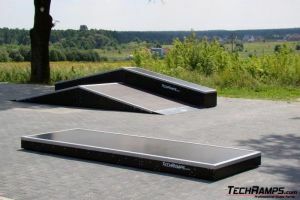 The most optimal surface for skatepark is cutted concrete - lowest damagebility, lack of turning resistance - (the smoothest structure - among other used in hipermarkets). Another solution could be an asphalt or asfalt mixed with concrete (with the most petitte substance). 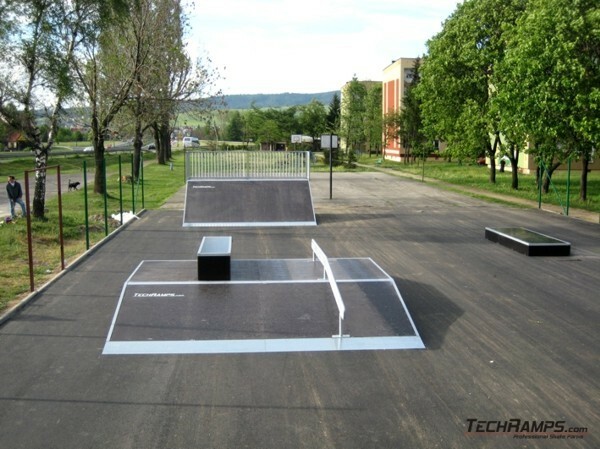 Artificiale mates culd be used on the surface (simillar to that kind of mates which are used on courts or tennis courts). Place should have one-sided slope (1 to max 2 degrees high). 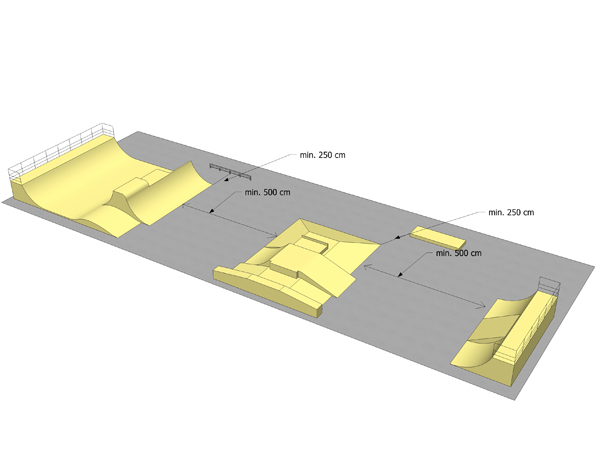 The types of surface site of the skatepark. 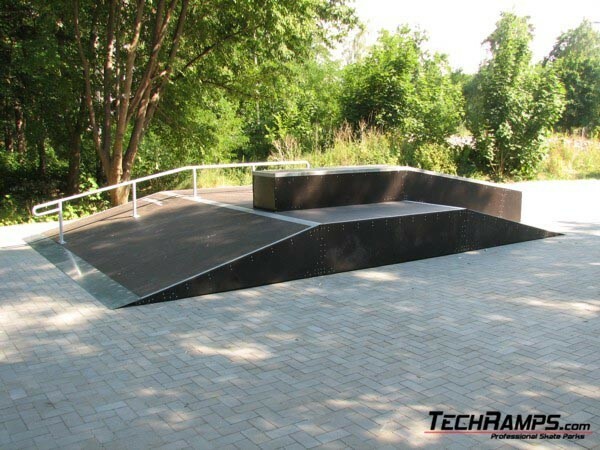 The most optimal surface is concrete skatepark in the ground or so. 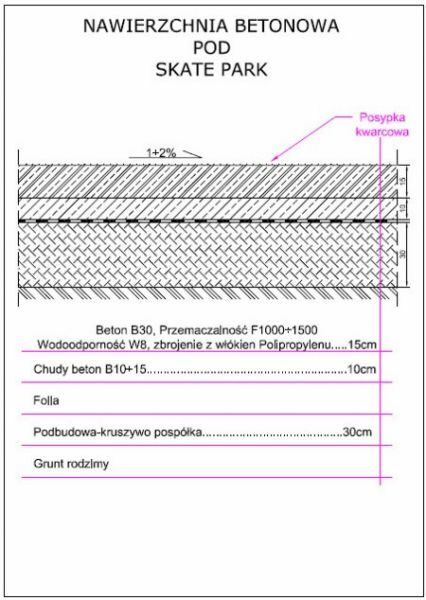 sprinkled with concrete - the smallest traumatism, lack of rolling resistance - (as the smoothest of the structure - inter alia, shall be used in supermarkets). 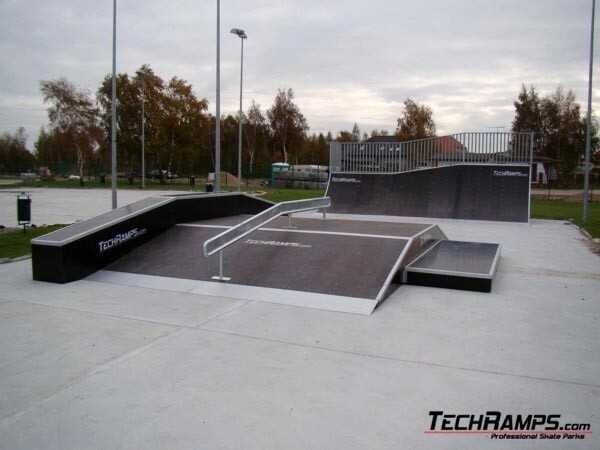 Section through concrete surfaces and examples skateparków the concrete surface. Another solution could be asphalt or asfalto - concrete (by weight as the smallest). 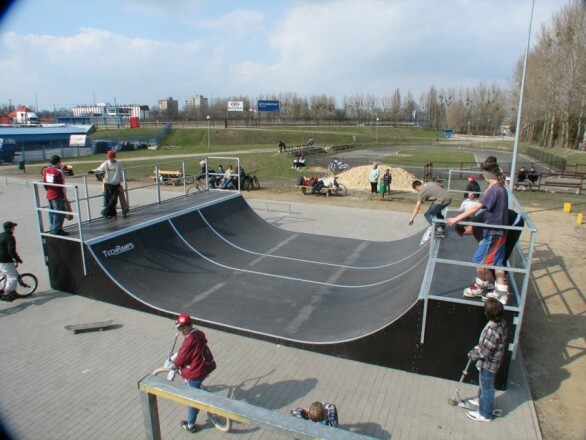 Bezfazowej surface of the cube (or the reverse) rather as a last resort, gdzyż possible inequalities affected the most deskorolkarze and skaters, to a lesser extent, BMX sheep. Examples skateparków the surface of the cube. 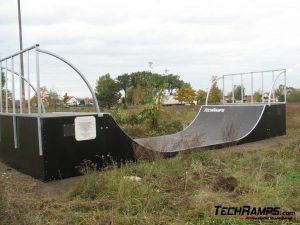 Minirampa is the only skate park equipment, which can be put almost anywhere. Just flat, equal to the square area from 80m2. 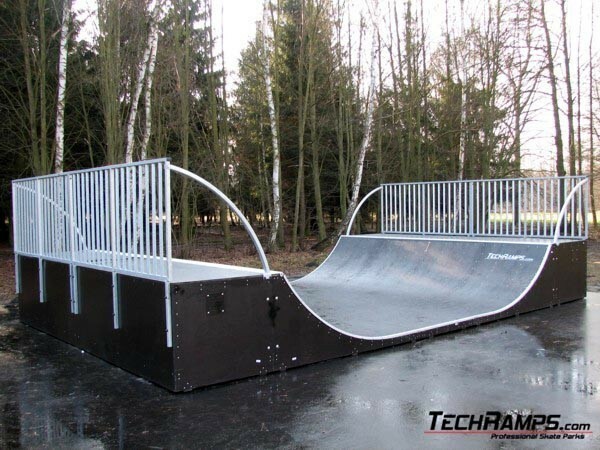 Minirampa differs from the large ramps that its radius never reaches the vertical, so they can ride on it, both beginners and advanced skaters. Halfpipe is the major factor for advanced players. Minirampa is perfect in all disciplines. Cope on her deskorolkarze, łyżworolkarze, BMX sheep. When designing the skatepark should be borne in mind the safety zones. Safety zone is used to maintain liquidity and travel to ensure adequate speed between each of the obstacles. That generally is the area around the device, which is particularly exposed to falling or collapse of a person driving, this area may be different sizes. 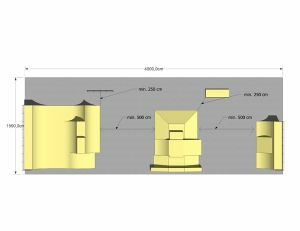 In certain locations around the unit can be 50cm and the other 200 cm.